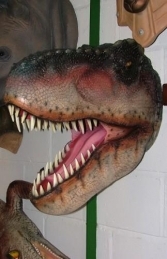 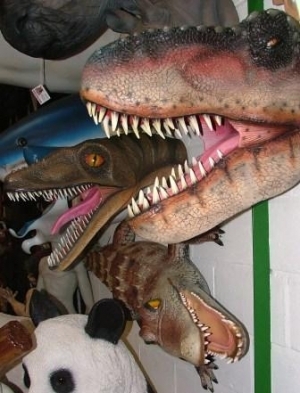 This is a fantastic small wall-mounted Tyrannosaurus Rex Head ideal for use in themeing children's rooms etc. This fantastic small T.Rex Head is great for pre-historic themed areas & for mounting in Dinosaur displays. It would scale well with our range of smaller dinosaur models such as the 3ft Stegosaurus and 2ft Triceratops.